Whether you’re planning days out with the kids, or ways to get them out from under your feet these school holidays, you’ll find something among these 25+ ideas for things to do in Sussex for half term. Autumn sees a bumper crop of pumpkins at the bottom of the kitchen garden at the the 14th century Alfriston Clergy House. 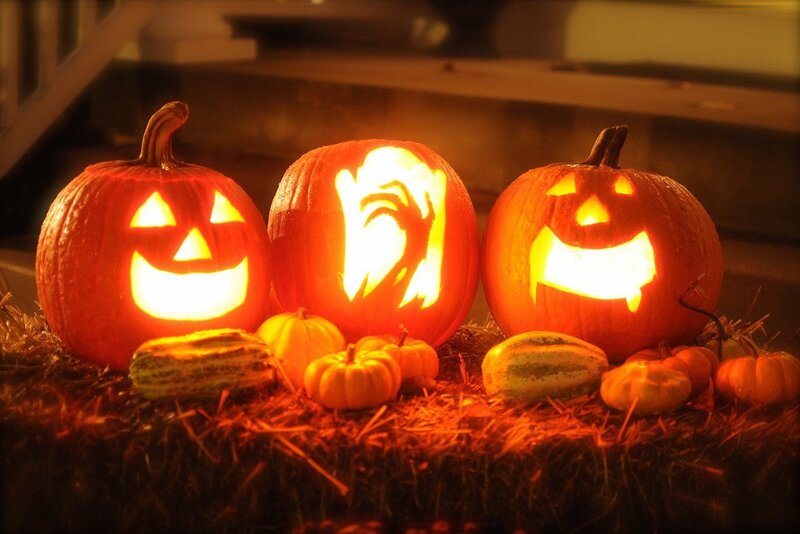 Follow a trail for younger children looking for pumpkins hidden around the property. Free with admission, 10.30am – 4.30pm. At dusk, all sorts of little bats swoop over the lawns and meadow at Uppark near Petersfield on the hunt for insects. As Hallowe’en draws near, younger children are encouraged to ‘think like a bat’ to complete activities on a themed trail through the grounds. It’s suitable for ages 6+ and is free with admission. Take the Hallowe’en trail around the grounds at Petworth, and, with the help of clues from staff, track three witches who have escaped from the Macbeth painting in the mansion. £3 per trail + usual entry fees. Arts & Crafts home Standen in East Grinstead has a fun harvest-themed trail the great apple hunt to follow and crafts to try. Later, in early November, there will be spooky bat walks to join. Yes you can already get your skates on in Sussex. Worthing’s Steyne Gardens pop-up is back, much earlier than last year and fully covered in a giant marque so you can skate whatever the weather. 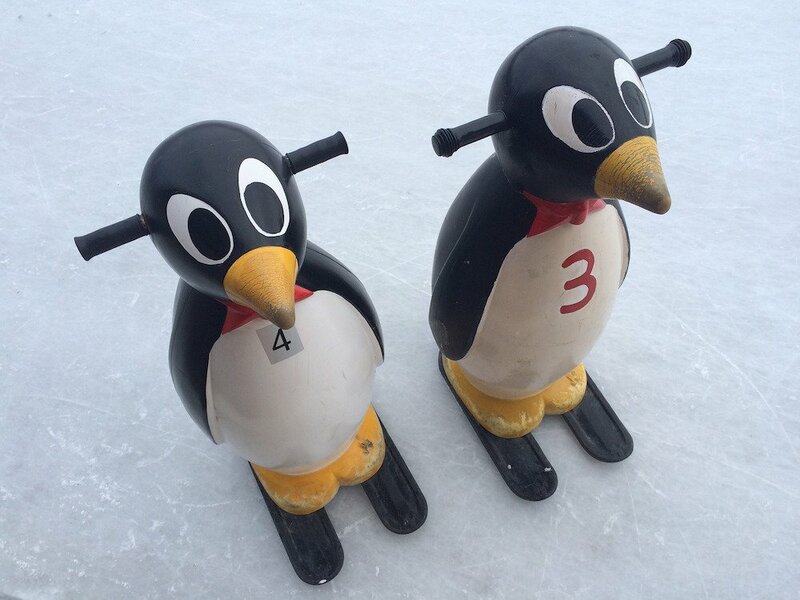 Regular sessions are for over-fours, while toddlers can get on the ice too in special weekday sessions 10.00am – 3.00pm helped by penguins for balance. There are even six week children’s skating courses and private lessons by arrangement.You can warm up with hot drinks and snacks in the café and even use the venue to host a children’s party. Tickets are from £6.50 off-peak, family of four tickets cost £29.60. Penguin hire is £3.75. 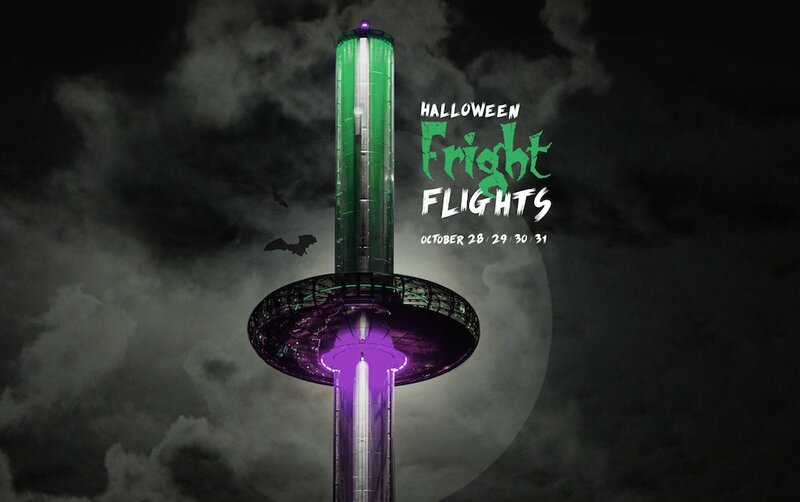 Join actors and story tellers from spook-specialists Ghost Walk of the Lanes for a fun and ghoulish flight above Brighton & Hove in the British Airways i360 pod. This will be a family friendly event running at 6.00pm on Sat 28, Sun 29, Mon 30 and Tues 31 Oct. For something more scary there’s an adult version at 7.00 on the same dates. Tickets are £16 per adult, £5 per child (4 – 15 years)and under 4s go free. One of the odder titled events this half term – it’s about what happens after a tree dies – an interesting cycle full of bugs and fungi. Pick up the trail from the welcome hub between 10.00am and 3.30pm. £1 per trail + normal admission charges. Looking for free things to do in Sussex for half term? 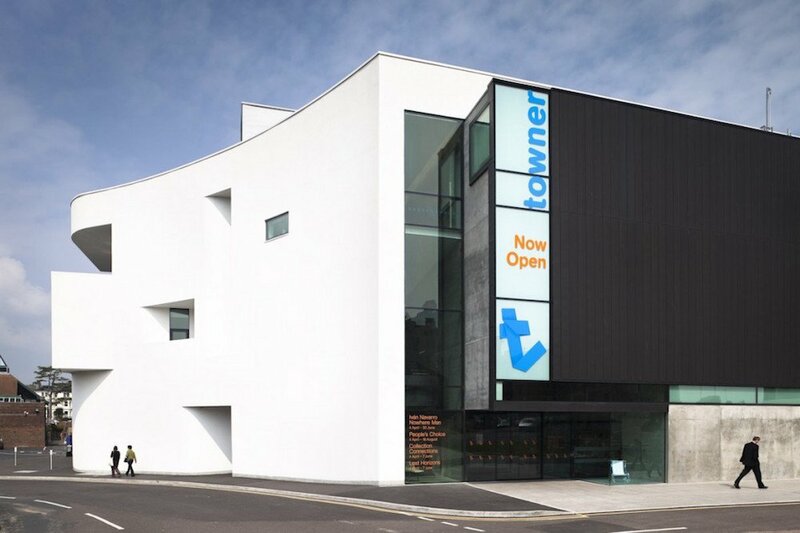 As part of the international Big Draw Festival create animations from flipbooks to digital drawings inspired by the works on display at the Towner. Drop in to the gallery and join artist Jane Fox between 11.00am and 4.00pm. It’s free and suitable for all ages. 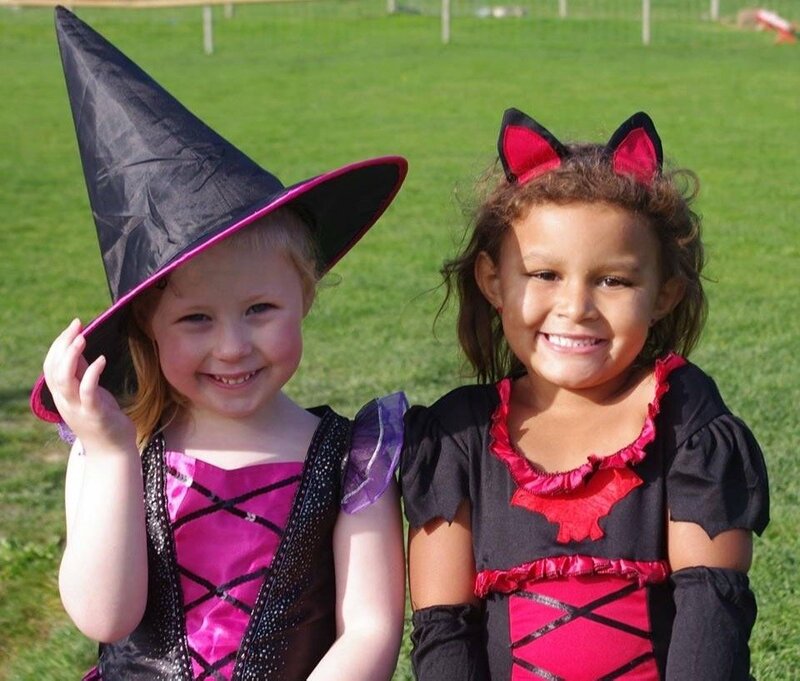 Free pumpkin carving, a witchy walkway, terrible temporary tattoos, a spooky maze and Halloween characters are among the events with a fun rather than scary slant for younger visitors at Spring Barn Farm. Get a Scream Barn Farm Pass from £13.95 including access to the farm. Spooktastic entertainment every day in Borde Hill’s haunted marquee includes Tomfoolery’s games, dancing and magic on 23 Oct; Sublime Science creating fizzing potions and take home slime on 25 Oct; and a chance to meet real feathered friends in Owls About Town on 27 Oct. On Sun 29 carve a pumpkin then add it to a line to attempt to create a record. 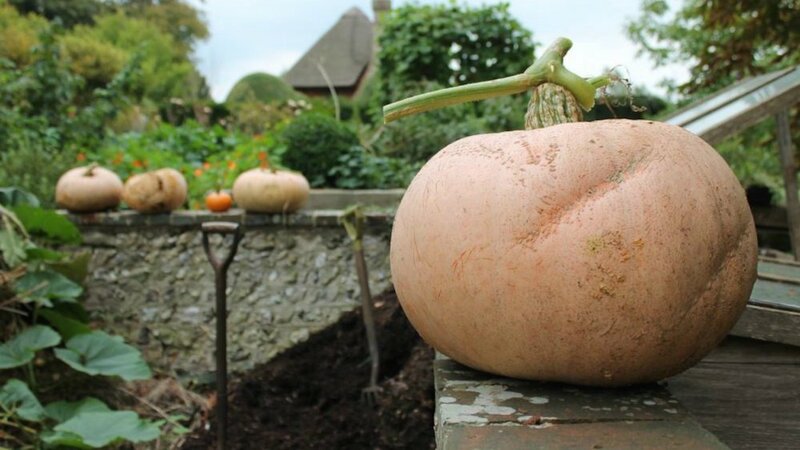 There are crafts besides and young visitors will receive a treat from the Borde Hill witch if they complete the challenges in their spell book on the ghoulish garden trail. 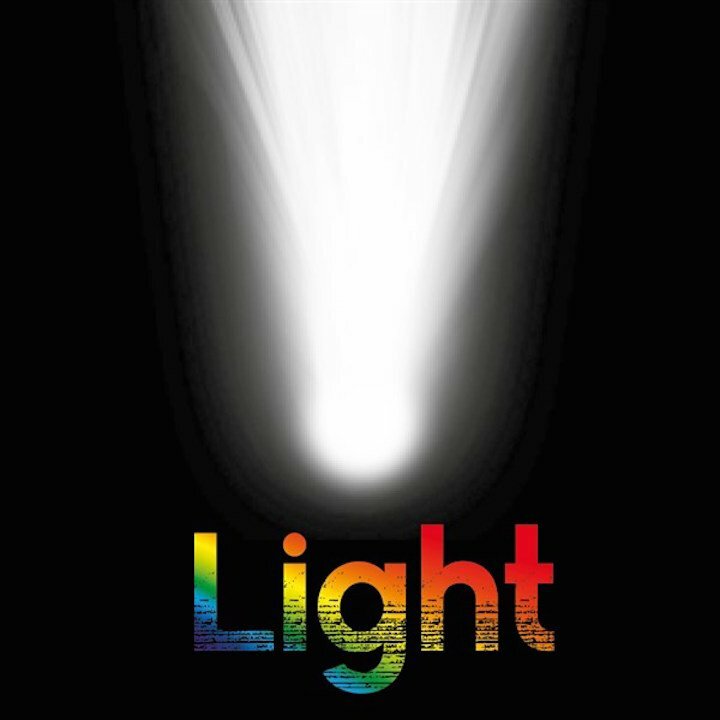 Over 14s can help develop a sound and light installation for Devonshire Collective’s buildings with expert help and examples to help with the design process. The workshop runs 2.00pm – 4.30pm and costs £13-15. A thriller with a difference for Halloween week. We’re sadly no longer able to see the real Michael Jackson live but this West End song and dance show celebrating his most famous tracks is packing them in. Moonwalk down to The Hawth and catch those signature moves as it goes on tour. Tickets are from £32. See paintings, photography, collages, prints, models and more submitted by artists from across Sussex based on the theme of ‘Light’ in Littlehampton Museum’s latest open exhibition. There’s also plenty to amuse youngsters including two themed trails around the museum. Admission is free. Got older kids? Pack them off to some retro teen hits. Brighton’s two Duke of Yorks Picturehouse cinemas have a new batch of Vintage Sundays featuring 80s comedy and romance classics The Breakfast Club, Sixteen Candles, Planes Trains and Automobiles, Pretty in Pink, Weird Science and Feris Bueller’s Day Off . The programme is split between the two venues. Everyone loves a bit of Scooby-Doo. And now the generation-crossing crime-solving team will be visiting Drusillas to meet budding detectives at various intervals throughout the day. 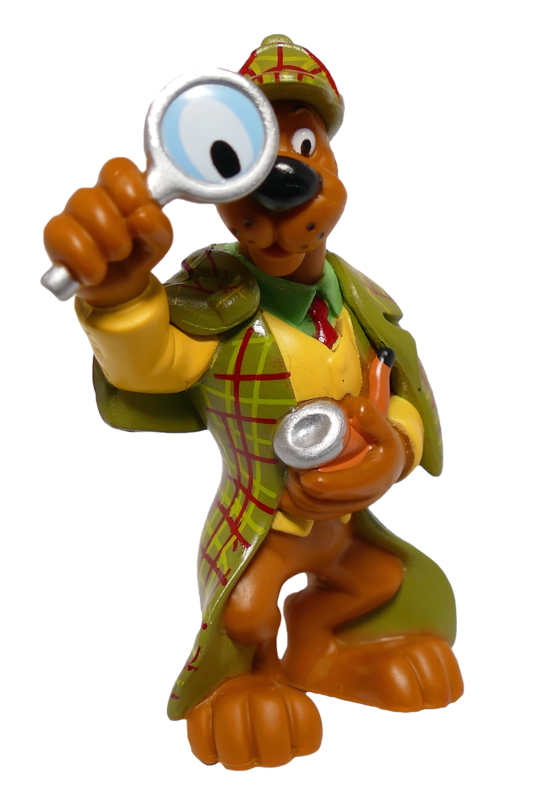 Bring your own pesky kids to come and investigate with the cowardly canine hero but don’t forget the Scooby snacks. On other days throughout half term half a spook twist with a Haunted Height castle, creepy-crawly animal encounters and more. 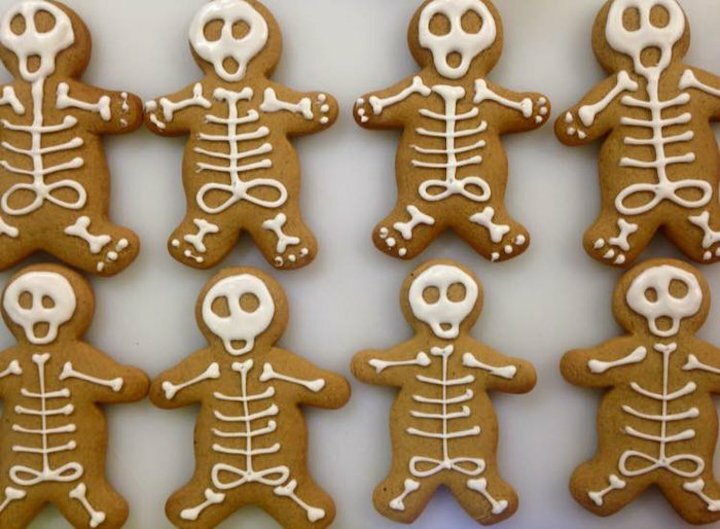 Pick up a free scavenger hunt trail when you drop into Tory’s Cafe in the Park at Haywards Heath – the 2016 Muddy Award winner has also sorts of creepy treats on offer when you need an energy boost. It’s open Tues – Sun 9.00am – 5.00pm. Head to Groombridge Place to meet Captain Robinson Crusoe and his crew of skeletons who on one stormy night over a century ago, were shipwrecked in The Enchanted Forest and hang out for a photo opportunity in a witches cauldron. Interactive storytelling and frighteningly good shows take place between 10.00 am and 4.00 pm 21- 29 Oct (£13.51 Adults, £11.71 children, Family of four £45.19). 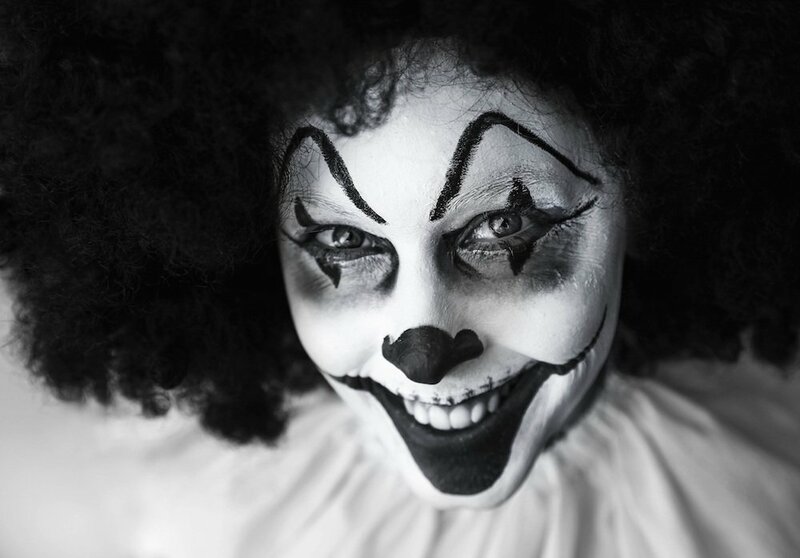 Over-14s meanwhile might have the stomach for Fright Nights (27 -29 Oct) where they’ll encounter members of a long lost circus troupe who seem to have met with a sticky end in the woods. (Tickets £12.60- £13.50). 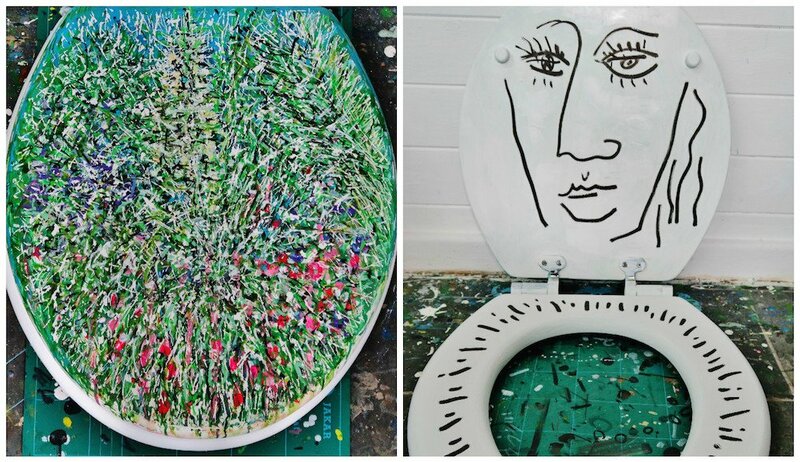 Sure to give the kids a giggle – 20 Sussex artists have created a novel exhibition using wooden toilet seats as their ‘canvas’. The brainchild of Chandlers Bathroom Showroom, Lewes, where the works will be displayed, the show and sales of the novel seats will raise money for the East Sussex branch of acquired brain injury charity Headway. Artists include well known Sussex painter Mark Glassman, and Nadia Chalk, co-director of Creative Waves Community. Pop into the showroom on Davey’s Lane, Lewes. 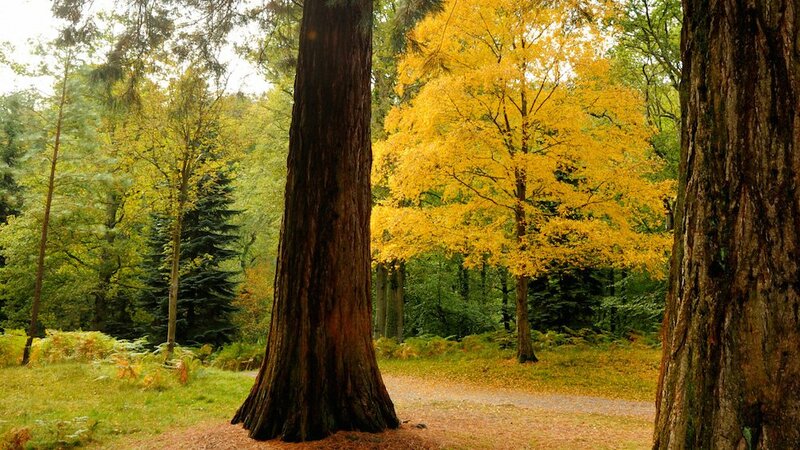 As part of its half term activities Wakehurst, which lost a staggering 20,000 trees in the Great Storm has a photo trail encouraging families to discover which of its present day trees where storm survivors and which were not. Continuing the theme, children can guess the speed in a wind tunnel and make their own flying pheasant wind sock. 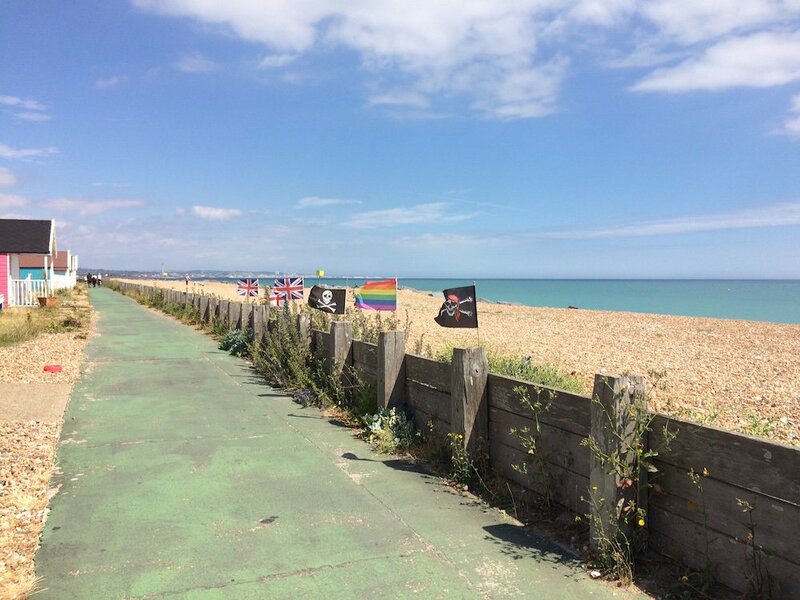 If the weather plays ball, try all or a section of my fave coastal cycle ride between Worthing and Brighton using your own or the new hire bikes (remember to take helmets). See my post here. 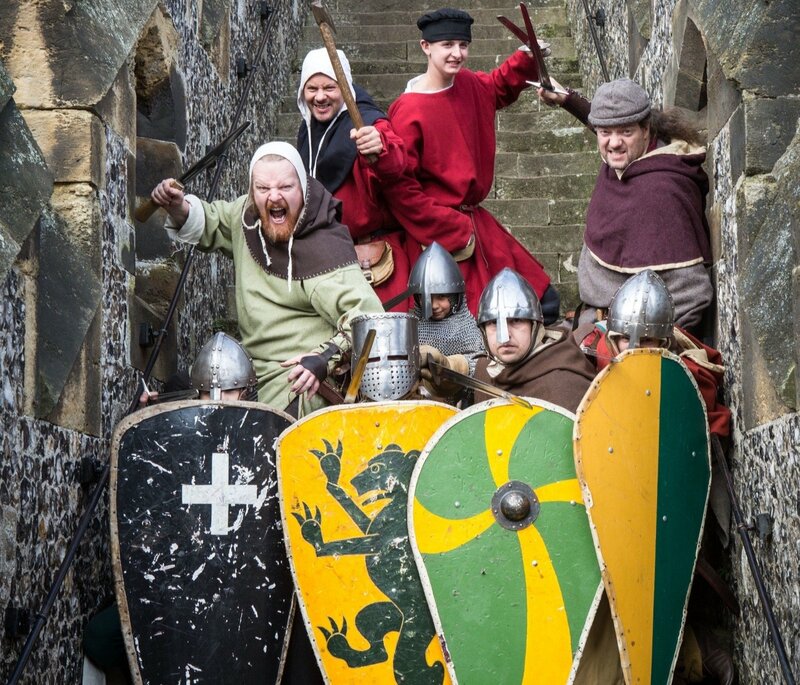 Bring lessons from the current Key Stage 2 and 3 school curriculums vividly to life when you take kids to see the Norman Knights, Ladies and men-at-arms in the Keep at Arundel Castle this half term. Witness the intense combat training of men-at-arms and archers, and find out what life was really like for Norman soldiers. You’ll also be able to try crafts from the late Norman period. Outside of the event the castle still remains open from 10.00 am until 5.00pm, Tuesday to Sunday until 29 Oct.
A proper bit of woodworking for kids 7+ is on offer at Ditchling Museum of Arts + Crafts. 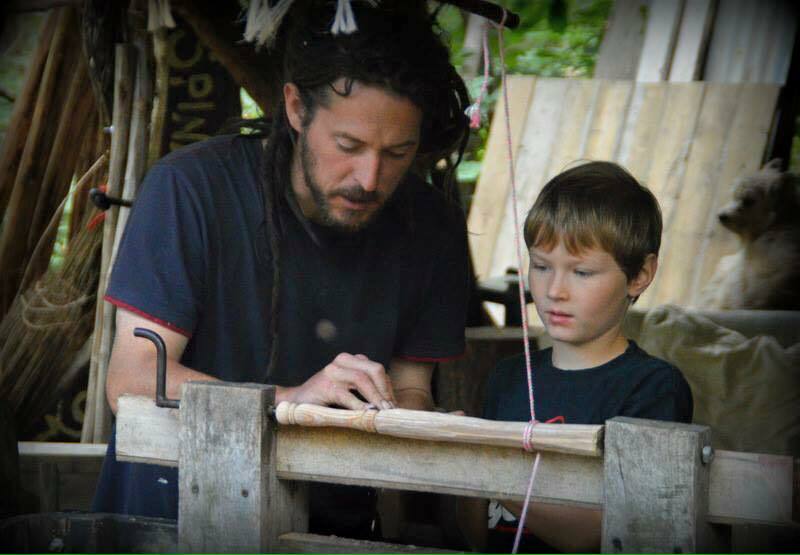 With the help of experts Kate and Geoff from Spinney Hollow Greenwood Workshop they’ll learn how to use green wood work tools including a pole lathe to create their own hazel staff or wand for walking or wizardry. It’s £30 + £1.02 booking fee which including all materials and takes the children off your hands and having fun from 11.00am – 3.00pm. Be quick as workshops tend to sell out in advance. 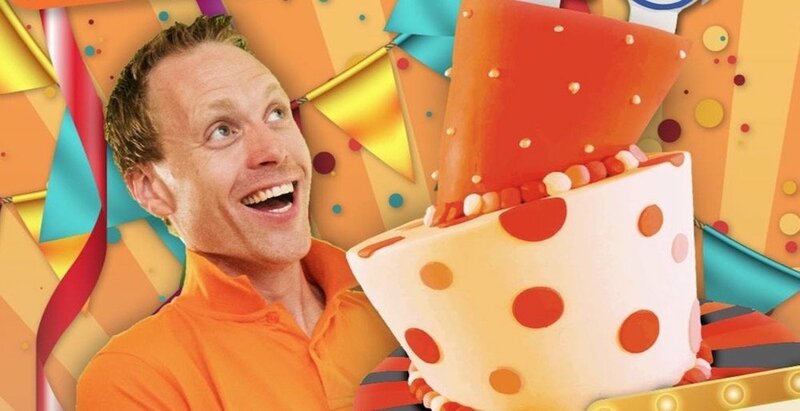 Magic, balloons, bunting and err beans are promised in this stage show for tots from Sussex children’s entertainer Tom – but be warned, audience participation is a must! It’s suitable for ages 3+ and on at 11.00am and 2.00pm with tickets £12.50 but it’s selling fast. 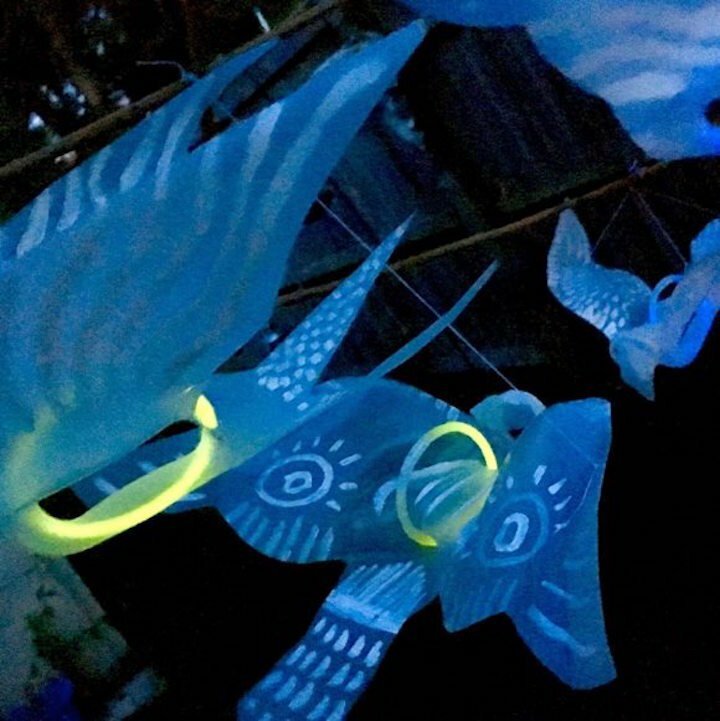 Masks and artwork to take home and decorations for November’s Boho Winter Light Festival are the focus of this workshop using recycled materials. Forest rabbits that sit on giant toadstools, shiny forest creature masks, woodland sprites, and fantasy butterflies and birds are promised. Sessions are 10.00am – 12.30pm and 2.00pm – 4.30pm and cost £14 per son for one adult and one child. 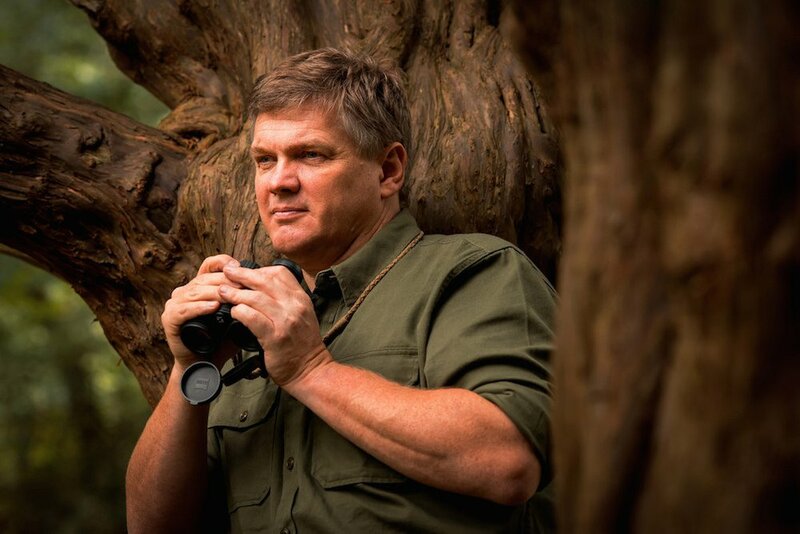 Survival and bushcraft expert and famous wee drinker Ray Mears is in Worthing this Oct 22 to share tales of tackling the wilderness on his many travels. He’ll also be explaining why he believes connecting with the wild environment is important for creativity and the human spirit. He’ll be back on the telly soon too in an ITV series about the Australian wilderness. Tickets for the show are from £23.50 for adults, £17.50 for under 16s. Three of the more accessible ballets are coming to Eastbourne performed by the Russian State Ballet & Opera House over three days. Devonshire Park Theatre will be hosting well-loved Swan Lake (Fri Oct 20) family favourite The Nutcracker (Sat 21 Oct) and Romeo and Juliet (Sun 22 Oct) with tickets from £26, or £21 for under-16s. 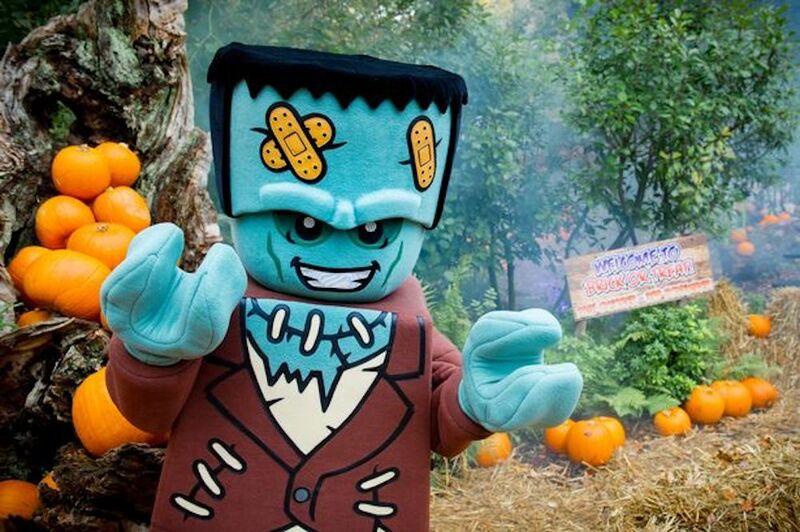 Brick or Treat – the puntastic Legoland event has been running for years. Over 55 ‘spooktacular’ rides, live shows and attractions, plus firework displays on 21, 22, 27 & 28 October. Read Hero at Muddy Oxon & Bucks’ tips on how to survive Legoland. Sure, it’s means a jaunt round the M25 but Harry Potter Warner Bros Studios is great for older kids and brilliant at ringing the changes with their events. For this one the Great Hall will be decorated with over 100 floating pumpkins, just as seen as in Harry Potter and the Philosopher’s Stone, along with a table laden with a Halloween feast of red apples, pumpkins and cauldrons of lollipops. Kids can also delve into the sinister world of the Dark Art – wand combat techniques and Death Eater duels as well as filmmaking snot, blood and drool. Er, nice! Tried this one yet? About 5 minutes from Waterloo tube, this DreamWorks tour takes you on a 4D bus adventure with Shrek’s Donkey as guide. There are 10 live fairy-tale themed shows where kids can visit Shrek’s swamp, find their fortune in the crystal ball, and get lost in the Mirror maze. 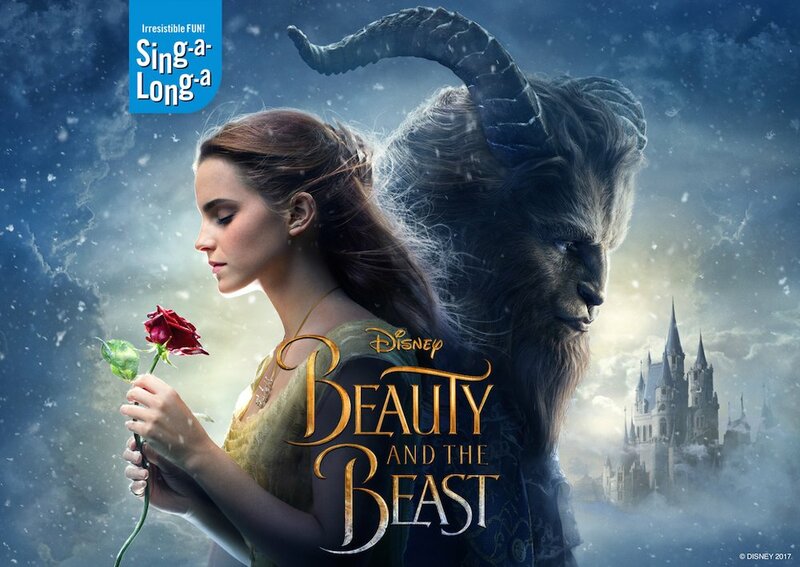 It’s for kids 6-12 primarily and lasts about 75 mins. 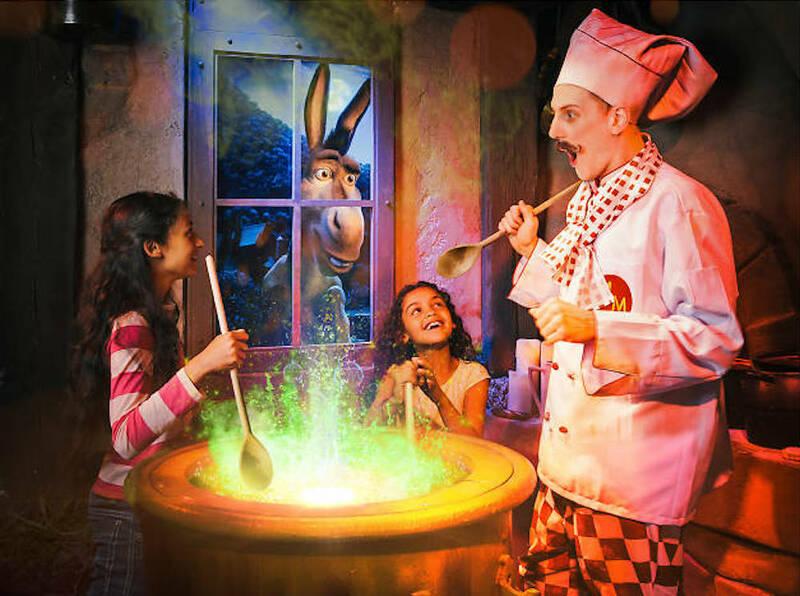 Shrek’s Adventure London has been devised by the team behind the London Dungeon and it works in a similar way – dropped into various scenes, you have to solve clues, sing and activate your silly gene. My friend and her kids loved it. Heading into London for half term? Why not book a show? At least then you can put your feet up after hitting the museums. Check out our pick of the best kids’ theatre in town this October half term here. You could even get organised for Christmas!